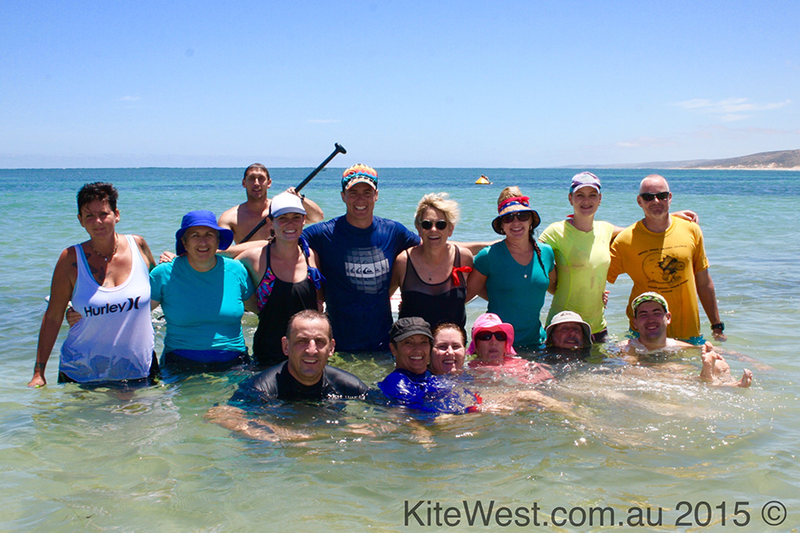 At KiteWest Water Sports our friendly, fully qualified ISA – International Surfing Association instructors are passionate about teaching you to SUP in the beautiful waters of Geraldton Western Autralia and Sanur in Bali. We operate in Geraldton Western Australia from October to May and moving to the east coast of Bali during the cooler Australian months. 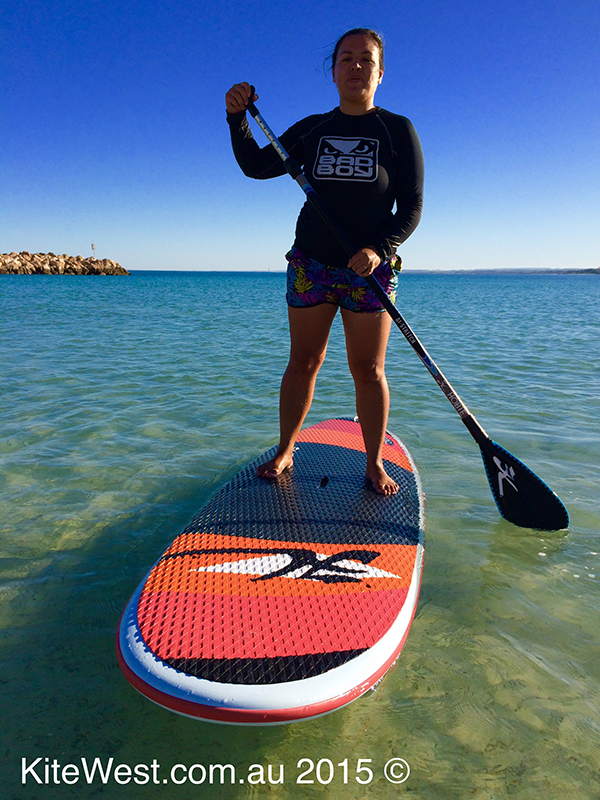 Which ever class you choose, SUP is the ultimate full body workout. 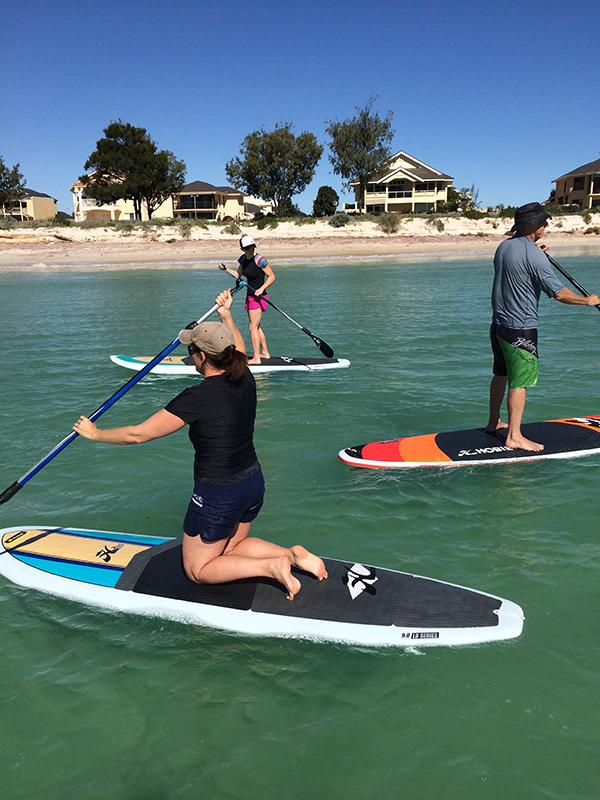 The benefits of SUP are improving balance, strengthening core and leg muscles, improving flexibility, strength and coordination. During all our classes, we will teach you to stand up on the board, the principles of the sport, getting the balance right, stabilizing the board, how to turn, how to get more speed and advanced steps during specific classes such as turning faster, catching a wave, surfing etc). We provide all the equipment you need during your lesson. 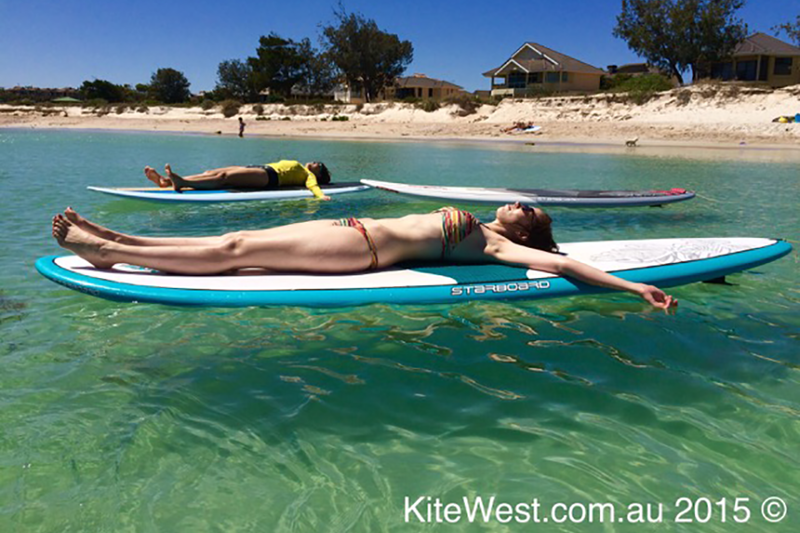 Most beginners classes are 90 minutes and SUP Yoga classes are 60 minutes. Limited spaces available par class, so booking essential to reserve your spot! If you want to try the fastest growing sport around, an intro lesson is right for you. 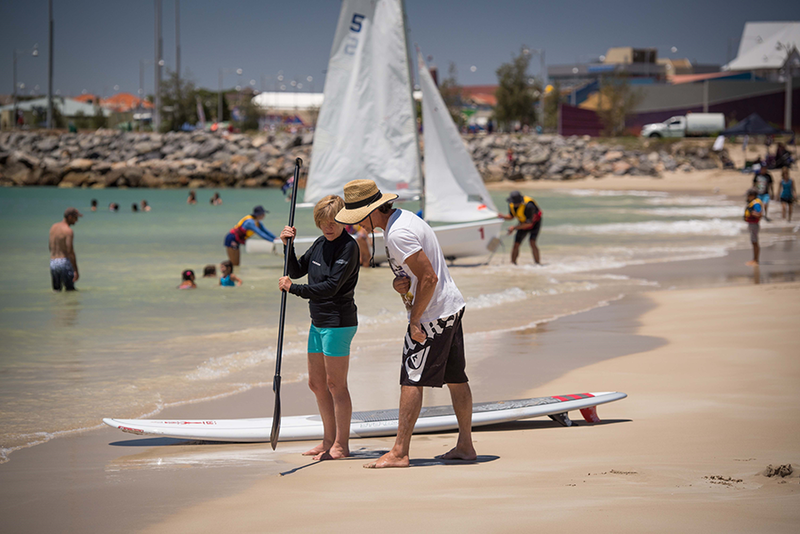 This will take you through the basics of necessary equipment, including board selection/size and instruction on balance, turning, safety and overall success guaranteed for your first go. As of 7 years old, kids can come and share a new experience! 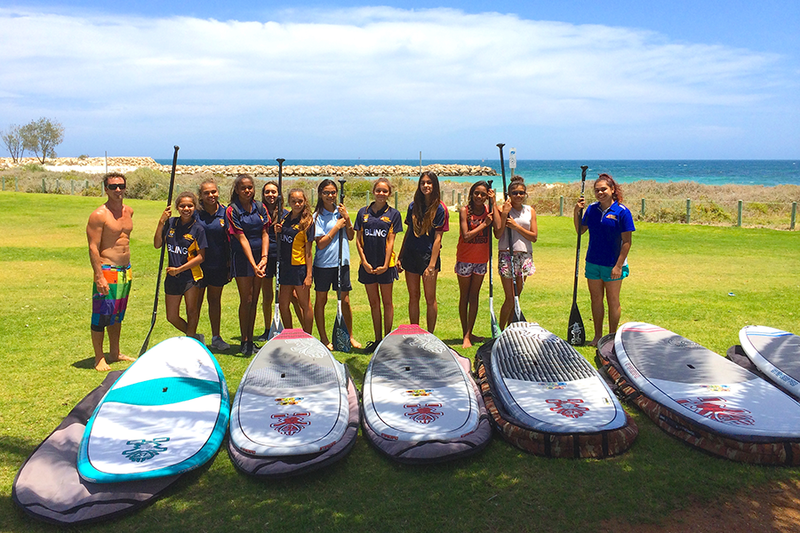 The main focus is having a lot of fun on the water and building confidence. Flotation vests provided if necessary. 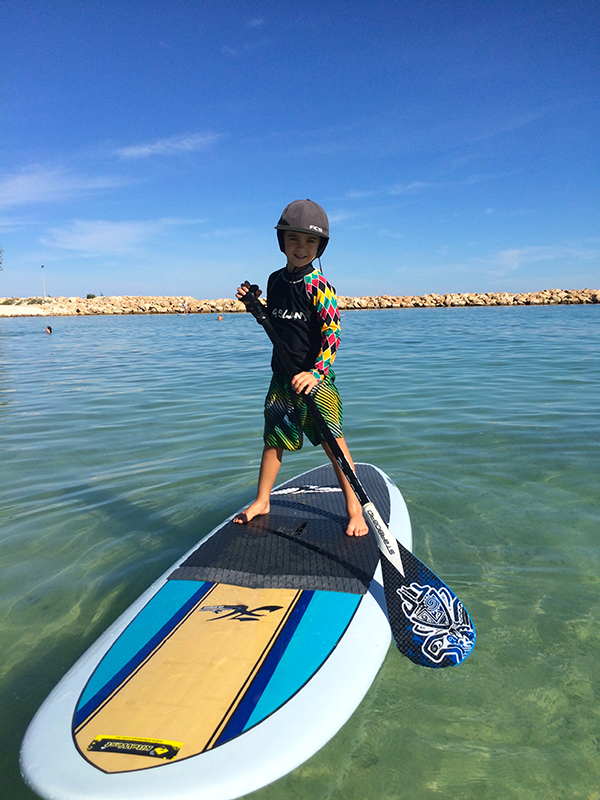 Why not do something different and have a SUP kids birthday party! This is a really good activity for children and at the same time improving their balance, coordination and learning something new, healthy and being outdoors. You’re never to old to try something new…you might even surprise yourself! Senior as of 60 years +. For our fun loving seniors who wants to try something different. This is an easy beginner class starting by sitting on the board and progressing slowly to other levels. 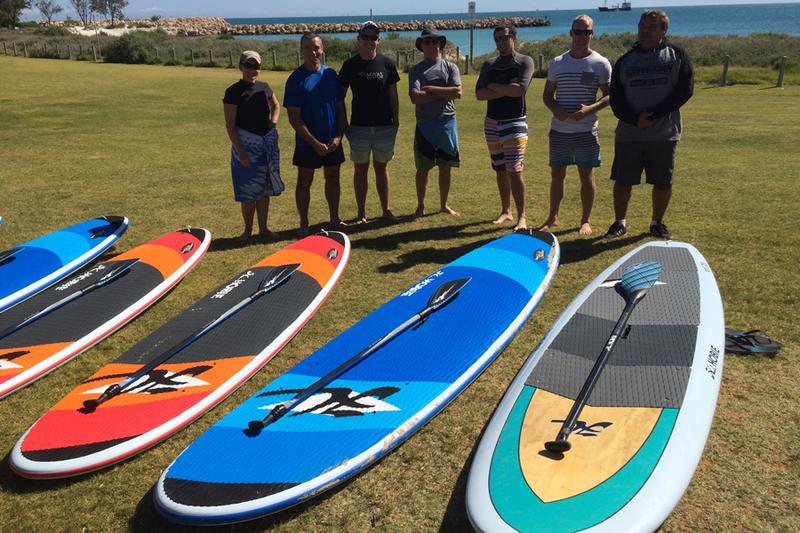 You’re never too old to SUP! 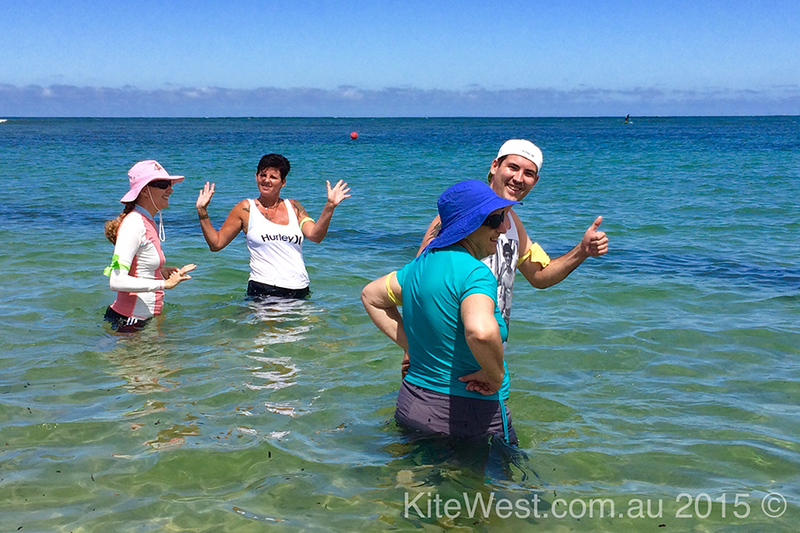 Get your team together for a team building activity outdoors whilst having fun. No previous water sport experience needed. SUP is surprisingly easy to learn. Floatation vests provided for less confident swimmers. We will organise the event for you, just give us a call to give us the details. This really is a fun activity to do with your team, expect a lot of laughs! 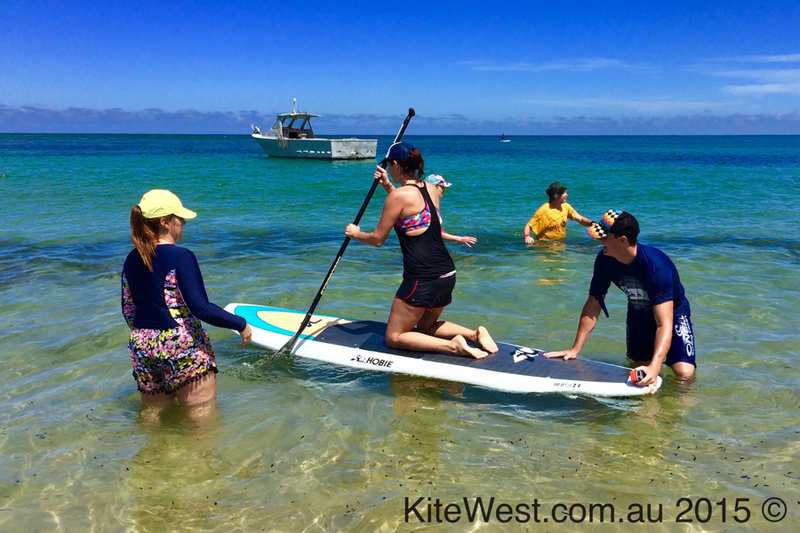 This is a great way to bond with your team, build relationships and trust in a lighthearted way whilst trying to keep afloat on a SUP! This will really raise your team’s spirits and have people talking about this for weeks to come. Swap your Yoga mat for a board and get outdoors!  Classes with certified Yoga teacher and SUP yoga instructor. This class suits all levels of yoga practice. Yoga on a board whilst floating on the water is a truly unique experience which will leave you feeling relaxed, yet your senses invigorated. SUP Yoga is very good for the core and is a full body workout! 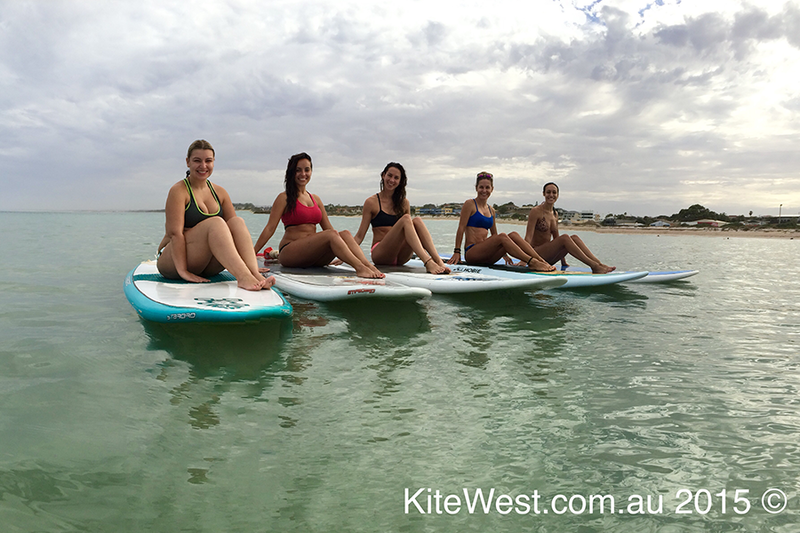 Visit our Yoga page for all details, info and FAQ on SUP Yoga with KiteWest.